After Emeryville City Attorney Mike Biddle was publicly chastised by the City Council May 6th for failing to produce suitable language for Emeryville voters to consider in November regarding the 'charter city' ballot initiative the Council is pursuing, they again sharply rebuked Mr Biddle last Tuesday for again failing to follow the same directive. Councilwoman Nora Davis, the City Attorney's strongest defender on the Council summed up the frustration she and her colleagues were feeling when she warned Mr Biddle, "You're not listening to what the five of us are saying." The Council voted unanimously in April to bring to the voters the idea that the governing structure of the city be changed from what it is now, a 'general law' city, a structure that mostly defers to Sacramento rule, to a 'charter' city, a structure that allows for more home rule or local control. The Council wants voters to also decide if they want to capture a real estate transfer tax to make up for lost revenue in the wake of the demise of the Emeryville Redevelopment Agency two years ago. The ballot initiative would increase real estate transfer taxes to $12 per $1000 assessed valuation, the same as Alameda but less than neighboring cities Oakland and Berkeley. The Council wants to write a short and focused charter so as not to confuse the voters in November but also because the focus of the proposed charter is narrow. The idea is to retain all the provisions of our current structure save the imposition of the real estate transfer tax. They indicated they are pursuing charter status because a real estate transfer tax is not legal under the provisions of general law city mandates. A charter city is free to let the citizens vote to impose a real estate transfer tax. On Tuesday, Mr Biddle again failed to present a short and focused charter, standing by his previously released 12 page document. In so doing Mr Biddle subverted a direct order by an exasperated and unanimous Council on May 6th after first being told at an April 22nd Council meeting. Instead of facing an angry Council by himself this time, the City Attorney brought in a colleague attorney paid at the taxpayers expense, Manuela Albuquerque who backed up Mr Biddle's claim that a short and focused charter is impossible. However examples of seven different California city's charters were included in the Council's packet as Mayor Jac Asher had previously requested be presented at Tuesday's meeting. All seven of the charters are under two pages long as opposed to the 12 pages produced by Mr Biddle, the shortest he can make it he says. 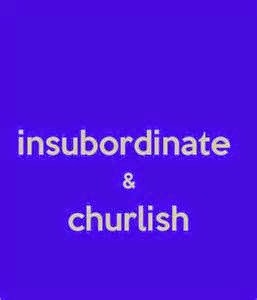 Ms Asher expressed exasperation at the on-going recalcitrance of the City Attorney, "I don't understand it" she said from the dias. Mr Biddle's hired attorney is the same Manuela Albuquerque he hired to fight off the unsuccessful 2011 Emeryville Measure F ballot initiative that sought to fire him. After the strong rebuke from the Council, Ms Albuquerque apologized for the "misunderstanding" Tuesday. Mr Biddle told the Council he would try to appease them for the June 3rd meeting. All five Council members for a third time told the City Attorney to come back to them with a short charter for the next meeting. 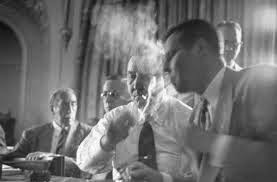 Ms Davis warned Mr Biddle, who serves at the pleasure of the City Council, against any further insubordination; "We trump" she said tersely. Emeryville just keeps getting better and better. We're on the move! We keep tearing down these old eyesore buildings with their architectural integrity, authentic period materials and old world craftsmanship and replacing them with new buildings that are so new and therefore better. We know it's better because the City Council majority keeps tearing down Emeryville's old buildings and they would never do anything that's bad for Emeryville. 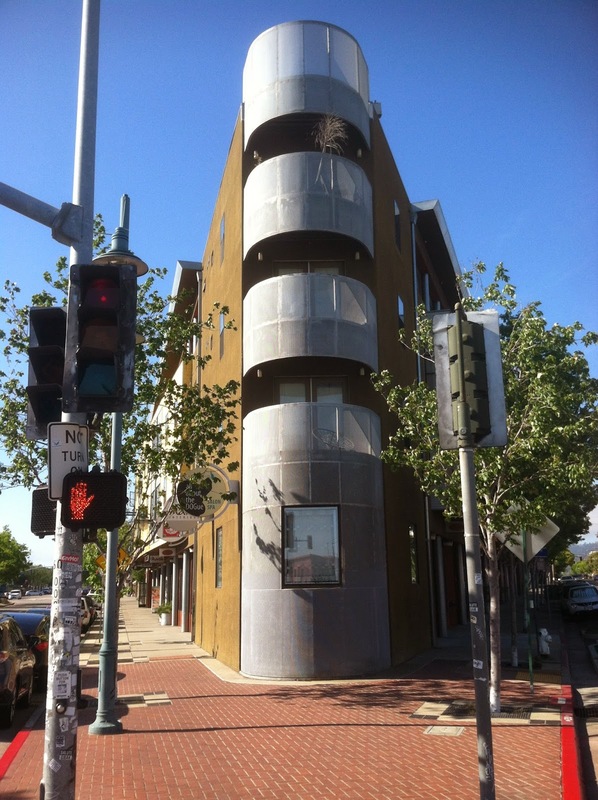 Take the 'Avalon Building' at the star intersection of Adeline Street and San Pablo Avenue. 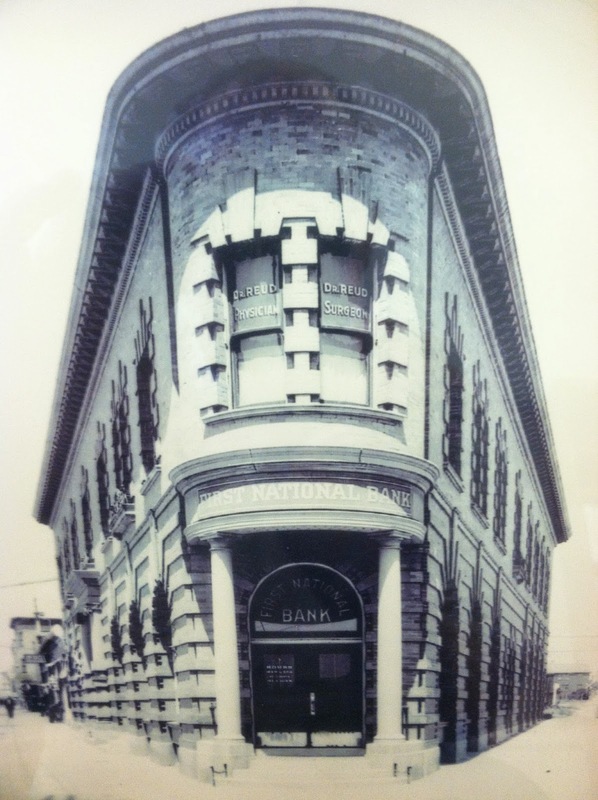 For a hundred years there was a stately Beaux Arts triangle shaped building from the turn-of-the-century "city beautiful" era there; the old First National Bank Building. But in 2000, a developer saw a payday and said he could turn a profit if he tore down that monstrosity and replaced it with a modern stucco building. It's a job the developer said that would "pencil out". The City Council majority tells us it's best to defer to the developers. Emeryville always turns out better when we put them in the driver's seat...you know, jobs and all...revenue and whatnot. So with a subsidy from the taxpayers via the Emeryville Redevelopment Agency, the old blighted eyesore was torn down. Good riddance! We keep tearing down these historic buildings so we know we must be doing something right in Emeryville. Take a look at the pictures below. See how much better Emeryville is without that old Beaux Arts monstrosity? Stone quoining blocks, load bearing brick walls, deep set wood sash double hung windows with curved glass, stone columns supporting an entablature comprised of an architrave & frieze with stone mouldings, beveled glass transom window above cope and stick oak doors and copper dentils with ogee cove detailing on a three foot cantilevered cornice has been replaced with aluminum windows, stucco and curved steel screens. It's so much better now, don't you agree? The stately old building lent a palpable sense of authentic place to San Pablo Avenue. But it was old, blighted and it had to go. The new building could be anywhere but it's new....and better! These side by side photos clearly show what the City Council majority of Nora Davis, Kurt Brinkman and Ruth Atkin and their developer friends have delivered to us. See how they're looking out after our interests? Note the beautiful curved screens. New and so much better. The Emery Unified School District has released a document that is qualifying the long promised July 2015 completion date of the new high school part of the Center of 'Community' Life project ready to begin construction on San Pablo Avenue, a date that has stood without qualifications for years. The document, called the 'Progress on Key ECCL Project Milestones', is the first public softening of previously promised iron-clad completion date commitments for the high school at the beleaguered schools/community center. With the release of the document, the School District wants the public to know that the July date, set several years ago, is now a "target" and is subject to contingencies including "approvals" and "steel delivery time lines". The new asterisks attached to the July 2015 high school completion date represent the second time the District has adjusted the ECCL construction schedule. Two years ago, the elementary school and community center part of the project were pushed back to a June 2016 completion date. Those two components, were originally also scheduled to be completed by July 2015. The pool and gymnasium are scheduled to be completed by the end of June 2015 and the District has so far attached no contingencies with those finish dates. Toxic soil remediation work on site needs to be completed before the high school construction work can begin, a digging job that started May 12th. Although the schedule shows the contractor completing the soil removal and replacement with uncontaminated fill on June 1st, at a presentation made at tonight's Council meeting, an ECCL construction manager said that soil remediation work would now not likely be finished until mid June. The tightening schedule means the site prep work, the pool & gym completion along with building a new high school, ready for move-in will all need to be done in a year, an extremely ambitious date. But it's a date the temporary Superintendent of the Schools, John Sugiyama says is still doable, "My understanding is the July 2015 date [for the high school] is still solid" he told the Tattler today. The District has moved the high school over to the abandoned Oakland Santa Fe Elementary School site on the Emeryville border for two years at a cost of $1.5 million and that lease is up in July 2015 even though Emery has secured an extra six additional months rental as a contingency. To be able to admit students to the new high school for start of school year in 2015, the building needs to be finished and the site ready by that July owing to furniture set up and technicalities. This city is going above and beyond the legal minimum in terms of public access. And that means extraordinary things are about to happen. Never before in modern Emeryville history has the public been granted the same status, the same access as the rich and powerful. But starting Thursday at noon, the last will be first and the first will be last at Emeryville City Hall. The City Manager's office, the historic locus of true power in our town, the seat of business and development legerdemain is being transformed; the shades are to be flung open, the window sashes hoisted, the smoke cleared out, the stately doors chocked open and ordinary Emeryville citizens will be in there, amidst the dark wood paneling expressing their opinions, their desires, their musings on all things Emery to the Emeryville City Manager. Just another Thursday in Emeryville...not! and businessmen (public not invited). It's being called "Lunch with the City Manager". We like to imagine the spectacle of dozens of dastardly developers scurrying like roaches once the shaft of noonday sunlight penetrates that office Thursday as Emeryville citizens, once seen as the rabble, stroll in. And sadly, that cartoonish image might not be far off the mark. For as long as we can remember and quite possibly for the entirety of Emeryville history, the City Manager would work out development deals from his office...dickering with developers seeking project approvals. By the time the public was allowed to weigh in at Planning Commission or Council meetings, it was too late; the all but the most innocuous details of the proposed development had long been decided...behind closed doors. The new city manager, Sabrina Landreth is different. For one, she's a woman; probably the first in Emeryville history. When we first met her at her first City Council meeting, she seemed cut from a different cloth. Now, there's no denying it: business as usual in Emeryville is gone. Ms Landreth is inviting the public into her office...on a regular basis, a democratic counter point to the previous two city managers that held weekly meetings with Emeryville business lobbyist and political power broker John Gooding every Monday at 9:00 AM for an extended closed door session. Topic of discussion? Whatever John Gooding wanted to talk about. The meetings may have helped Mr Gooding's bottom line but was the public's interest being addressed? We'll never know because the weekly meetings were closed to the public. Business interests and developers would routinely meet with the City Manager...in his office...behind closed doors. If you asked, you would be told the public's interests was the only concern of the City Manager in these closed door meetings. We had to take them at their word. No records of the meetings were ever kept. Now Ms Landreth has turned all that on its ear. Starting Thursday at noon, the public is invited in to talk about whatever is on their minds. And Ms Landreth intends to make it every 3rd Thursday (exact times after this coming Thursday may change depending on how accessible it is for people). For the time being, she's calling it "Lunch with the City Manager", or possibly (jokingly?) "Beer with the City Manager" if a later time period is settled on. Watch this space for developments (pun not intended). 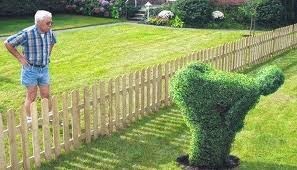 We called on Ms Landreth to do this some months ago. We thank her for this public access she has provided to the people's hall. Avalon Bay Project Morphs Into Another Emeryville "Men's Dorm"
Shellmound Avenue's massive residential development, Avalon Bay, is finalizing entitlements for its eight story apartment complex that is a near copy of other recent Emeryville residential projects in two key aspects; it's to be 100% rental and comprised mostly of one bedroom units. The developer has changed the proposed apartment complex, following the super heated Bay Area market for one bedroom rental units. The developer, also called Avalon Bay, has shaved off almost 50 units from an initial iteration but the broad make-up of the project has morphed into what has been called a "men's dormitory" or "techie dorm" housing style with 11 studios and 96 one bedroom apartments and 98 two bedroom apartments. The Tattler reported in September on San Pablo Avenue's Maz Apartments, another 100% rental housing project that can fairly be called a men's dormitory with it's mostly one bedroom apartments. The target renter for that project according to its developer will be singles in their twenties and thirties able to pay high rents. These all rental mostly one and two bedroom apartment projects in Emeryville pull in San Francisco techies (mostly men) seeking lower rent than that city offers plus the promise of an easy commute to the South of Market area or the Financial District. Avalon Bay is a project that the development company says will 'pencil out' for them with the current configuration and they're poised to maximize profits by catering to these San Francisco workers with this offering of mostly one bedroom apartments. Critics have drawn attention to the general lack of civically minded people these techie dorms will attract, notably the blog E'Ville Eye. Avalon Bay will include 11 studio apartments, 96 one bedroom units, 98 two bedroom units, 6 three bedroom units all on a podium above a massive parking garage plus retail along the street front. Being a virtually all residential project, Avalon Bay will not contribute revenue for the City of Emeryville as these kinds of projects have been shown to be revenue neutral, taking in services at least as much as they pay out to City Hall. City Hall has not shown how this project is 'family friendly', housing they say is critically needed in Emeryville in order to support the schools. The developer, Avalon Bay Communities, a Virginia based Real Estate Investment Trust says the project, located near the Ashby exit at Interstate 80 will break ground later in the year or possibly in early 2016. The Sam Kang for State Assembly campaign reports they are in the home stretch before the June Primary Election. Campaign Volunteer Coordinator, Royce Chang says Emeryville residents can help send a fellow Emeryvillan to Sacramento by helping phone bank or precinct walk for Sam. Mr Kang is lead attorney at the Greenlining Institute and has been a long time champion for average people against monied interests. Phone banking will be Tuesday and Thursday nights from 5:30 - 8:00. Royce can be reached at (818) 516- 7716 or at royceschang@gmail.com. The Tattler endorsed Sam in April. 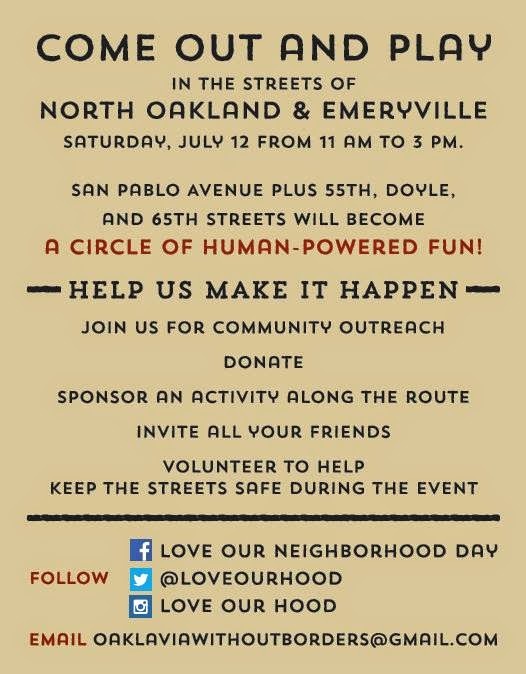 Community: Emeryville Bicycle Safety Rodeo this Saturday! FREE RAFFLE-WIN A BIKE! The City of Emeryville is hosting a Kids to Parks Day celebration at Doyle Hollis Park this Saturday May 17th from 2pm to 4pm. The Community Services Department will be out with fun activities in the park and the Police Department will be hosting a Bicycle Safety Rodeo on 62nd Street next to the park. The Police Department has 40 FREE kids helmets of various sizes. Get there early if you want one, once they're gone, they're gone! 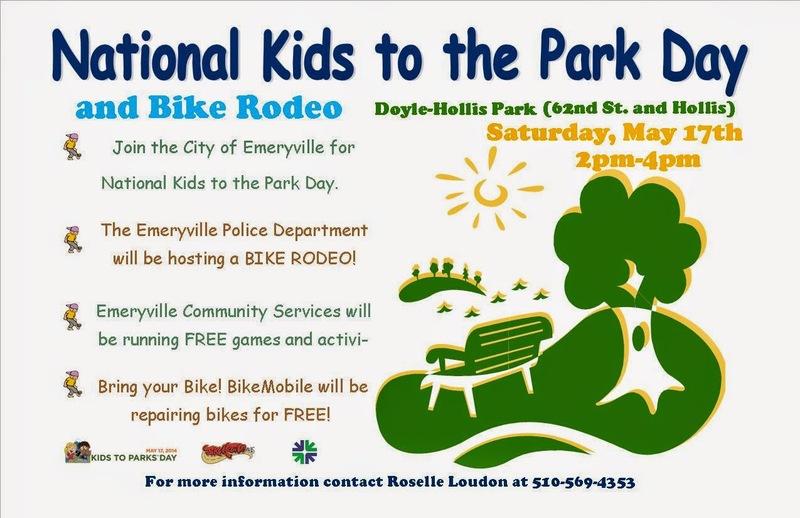 The Emeryville Police Officers Association will be there and has generously donated snacks and three shiny NEW bicycles to raffle off. The raffle is free to enter for kids (1 ticket each). You do not need to enter the bicycle rodeo to get a raffle ticket, just come on down and play! The raffle will be held at 3:30pm and you must be present to win. Introducing Emeryville Bad Corporate Neighbor, a column that focuses on the corporate and business miscreants in our midst; be they greedsters, fraudsters or churlish philistines, who make our town just a little worse for everyone. The Emeryville Police Department has long known about how Federal Express trucks routinely block the bike lanes on Horton Street, forcing bicyclists to make a dangerous swerve out into traffic. It's an all day every day kind of thing. They've been getting complaints about it from bicyclists for years now. Fed Ex sees the tickets they receive as a cost of doing business. So far there's been no attenuation of their behavior as a result of all the complaints (and tickets). Hey! We're trying to run a business here! Recently Fed Ex, located at 1600 63rd Street, has been doubling down; the trucks are racing down Horton Street at shift end (trying to meet new dictates from the management we're informed). We've clocked the Fed Ex trucks on Horton Street at over 45 mph in a 25 mph residential zone, blowing through stop signs all the way. So much for the Horton Street Bike Boulevard "safe street". Young children live on Horton Street. When we complained ourselves we were gruffly told by the manager of the 63rd Street facility "That's the way we do business". 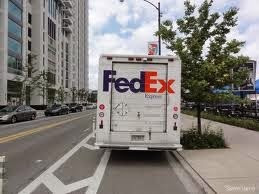 When it comes to driving in Emeryville, Fed Ex has shown us all they're not interested in being responsible or safe. Time is money at Fed Ex and what drives them is maximizing profits. 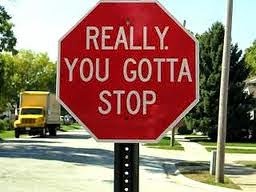 But stopping will cut into our profits! The City of Emeryville is considering making Horton Street a bike boulevard some day. That would involve traffic calming measures be implemented, making it impossible for Fed Ex to continue their reckless and unsafe driving behavior. We fully expect this bad corporate neighbor to join with the Chamber of Commerce to try to shut down the Horton Street Bike Boulevard if the City makes a move towards implementing it. But Fed Ex's disregard for safety on Horton Street and disrespect for our town should disqualify them as reasonable voices of opposition. It's a reprehensible traffic record for Fed Ex and it's what make them this week's Emeryville Bad Corporate Neighbor. 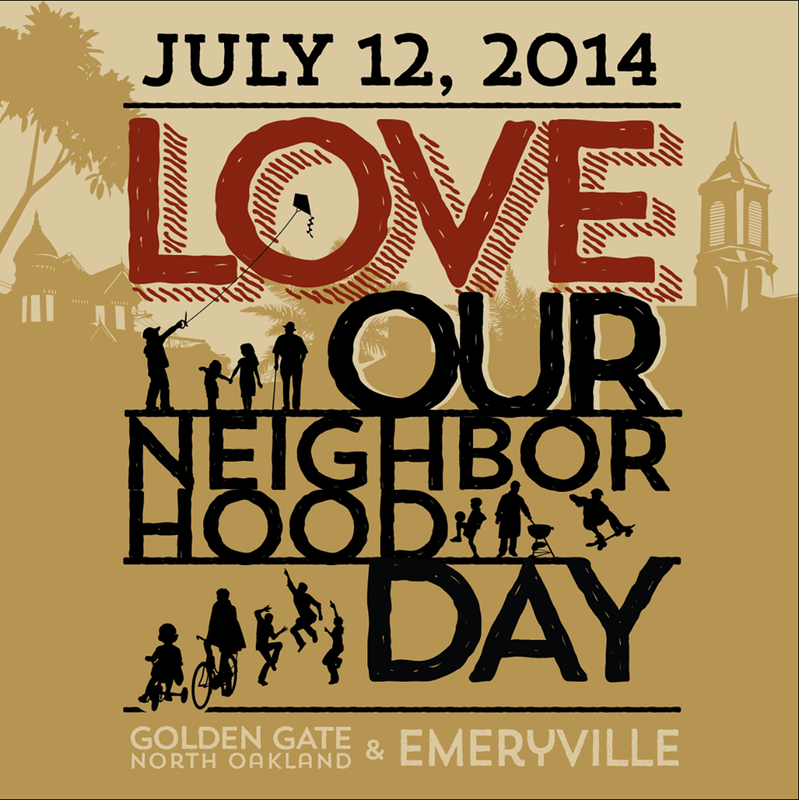 Come and meet your progressive neighbors and help your city grow in a good way! 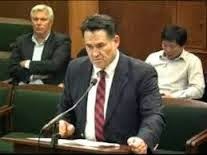 Emeryville City Attorney Mike Biddle drew strong reactions from Council members at last Tuesday's City Council meeting as they heard him explain he could not produce a short and focused ballot initiative text to forward to Emeryville voters this November as he had been so directed by them. Mr Biddle's presentation, produced during the two weeks before Tuesday's meeting, was revealed to be 12 pages of dense legal verbiage. It was as concise as he could make it he told the Council members. At the previous meeting the City Attorney had been directed, in a unanimous Council vote, to pattern Emeryville's proposed Charter City initiative on that of neighboring city's charters, some only a few paragraphs long. Emeryville is currently a 'general law' city, a legal construct that gives more power over local matters to Sacramento. A charter city conversely gives more power to the local voters and would, in the case of what the Emeryville City Council is directing in a November election, enable them (the voters) to OK a transfer tax, something not legal for general law cities. The City Council was adamant that the language for the Charter City initiative be "short and focused" as Councilwoman Nora Davis indicated. Mr Biddle was directed to draw up language for the voters approval in November that would make it clear that the current laws guiding the City would remain unchanged but that a real estate transfer tax be initiated at a rate of $14 per $1000 of assessed valuation, two dollars less than the existing transfer taxes of Oakland and Berkeley. Emeryville now only gets $.55 per $1000, the legal maximum for general law cities. The Council told the City Attorney they wanted the initiative to be as short as some neighboring cities have done because a long and arcane text in the voter guide would unnecessarily confuse voters and would likely draw NO votes based on ignorance. Mr Biddle explained Tuesday that he had heard what the Council had directed him to do but he felt compelled to "add some meat" to the spare template language proffered by the Council after he conferred with colleagues. Mayor Jac Asher summed up the Council's frustration with the City Attorney, "This will look like 12 pages of change [to the voters]" she said. The Council instructed City Attorney Biddle to go back and bring them a much shorter text, regardless of his reservations. The School District here in Emeryville has to play the role of editor. With all the various sundry and disparate ideas floating around for how best to teach our children, their job is to edit out the ideas not worthy of consideration and implement the good ones. This is Step One in public education policy. Unfortunately they've never publicly explained what they think constitutes a good idea but they've shown they know good ideas come from 'serious people' (with apologies to the economist Paul Krugman).... people like Emery Education Fund president John Gooding, a man they've put their stock in over the years. The School Board listens to John Gooding. John Gooding: Serious Person (on left). to those who help disseminate serious ideas. The Board again showed this dynamic when they invited Mr Gooding to impart his wisdom about the proper role of a school district in public education at their April retreat. The Board and District officials sat enraptured nodding their heads up and down in agreement and back and forth in awe as Mr Gooding alerted them to an education crisis at Emery; the District is dropping the ball, falling short of their charge to produce competent worker bees for the private sector he told them. Corporations need "workers that can add up a column of figures" Mr Gooding repeatedly said, warning the assembled Emery power players that graduating seniors are not making the cut. He went on and on reminding the Board their job is to transform students into workers for the corporate hegemony (to drive down wages). He spiced up his presentation with a few always popular "for the children" cliches for dramatic effect, a perennial favorite of serious people. John Gooding is a businessman who knows business, he knows what businesses want. He's a member of the Board of the Emeryville Chamber of Commerce and he lobbies for corporations through his political consulting firm the Quadric Group. Whether fighting against Measure C, the 2005 initiative providing for a living wage for Emeryville hotel workers or bundling donations for business friendly candidates for Emeryville City Council elections through EmPac, the Chamber of Commerce's political action committee, Mr Gooding has for years devoted himself to making sure Emeryville City Hall works for business. 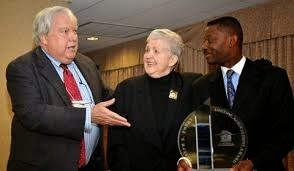 As the president of Emery Education Fund (EEF), John serves as the intermediary between the schools and the business community, accepting donations and after skimming off some for EEF expenses, doling out the remainder to the schools. He's thus has made himself invaluable to the schools in Emeryville. John's created a nice little eco system with this formula (even as high level corporations have not been co-operating recently as they've scaled back their donations to the Ed Fund). 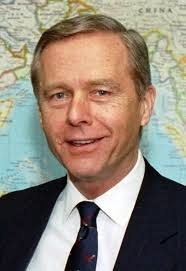 This serious man with his serious policy proscriptions for Emery is the same John Gooding who donated money to California Republican Governor Pete Wilson to help fight for Prop 187, the 1994 initiative that would have denied public education to the children of undocumented immigrants. It's the same serious man who brought his lofty position of Emeryville power broker to bear against the workers at Emeryville hotels by attempting to keep wages low and workloads harsh. He warned us at the time that if Measure C passed, if the hospitality corporations had to pay higher wages, Emeryville hotels would leave our town en masse, a prediction that has not come true...in fact a new hotel is opening in 2015. Regardless of the Measure C loss (loss for the corporate forces, win for the workers), John Gooding has been a good lobbyist for his business clients. He's continuing to represent their interests now as he uses his powers of persuasion on the Emery School Board. Another serious person as seen by this School District is the former Superintendent Tony Smith. Mr Smith, revered by the Board is a well known practitioner of an Oakland pogrom of "cut, shut and charter", a public school disempowerment vision popular at Emery. Also seen as serious by this Board of course is former Superintendent Debbra Lindo, who believes school teachers are the problem with education and their union must be destroyed (a sentiment shared by Tony Smith). 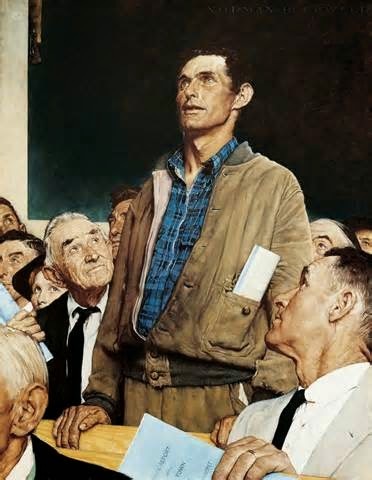 Non-serious people here would include citizen dissenters and teachers. John Gooding is serious but he's wrong. The School Board is wrong. We'll risk a lawsuit from Mr Gooding (he's threatened us before) to argue for the real reason why we educate our children. Public school is meant not to produce compliant workers for corporations. Rather the proper role of public school is to create good citizens; adults who can think critically and who value the joy of learning. These are ideas not associated with money, they're not forwarded by the corporate sector, they're not delivered by a serious man, rather they're embraced by what the Emery School District would characterize as the non-serious among us. But these are ideas we'd like to see taken seriously at Emery Unified School District. The City of Emeryville is hosting the National Kids to the Parks Day at Doyle Hollis Park on Saturday May 17th from 2pm to 4pm. Look out taxpayers. The Emery Unified School District is not past being sneaky as they play fast and loose with the purse strings in their quest to service consultants and other vendors associated with the Center of 'Community' Life. What else could you call it when they elect to task an outside contractor with completing a job, at more than twice the price that would have been paid to two former employees that by all rights should be doing the work? One thing you could call it is a boon. A boon to the contractor Swinerton Builders, selected by the School Board, who's going to get $1.1 million for a $481,000 job. The story surfaced last week when the School District asked the City Council to sign on with them, the hiring of Swinerton Builders to oversee the work of Turner Construction, the builders of the Emeryville Center of 'Community' Life (ECCL) on San Pablo Avenue. After the District last January lost its architect and ECCL Project Manager, Roy Miller, the School Board realized they needed to hire someone with construction knowledge to watch Turner Construction to represent the public's interests. That someone turned out to be Swinerton Builders, a San Francisco based construction firm. The problem is Swinerton is going to be paid $1.1 million for a two year contract and Roy Miller, combined with his assistant would have cost the School District $481,652 to do the very same work. Suddenly, the District is paying an extra $618,348 that's gone unexplained. We were perplexed last fall when the District told everyone the sudden "retiring" of Roy Miller was not going to be a problem. How could the District justify the loss of the main guy paid to shepherd the ECCL and look out after the public's interests, just as the construction of the thing was ready to begin we wondered. School Board member John Affeldt went one further, calling the time of Mr Miller's leaving "opportune", raising the absurd notion that the best time for a project manager to quit is just as the project gets started. Nevertheless, the School District told us a replacement would be hired, someone to oversee the construction. They just failed to mention it would cost us more than twice the price. To those wondering whether Swinerton perhaps will do a more complete job overseeing Turner than Mr Miller would have done and the extra costs are therefore justified, City Manager Sabrina Landreth made the District's position clear that for proper oversight, they only require the effort as would be performed by Roy Miller and the former ECCL Project Assistant Wendy Chew. Ms Landreth put any such notions to rest, "The contract is $1.1 million and is funded from a combination of salary savings from both the District architect and the project assistant that was already budgeted in the project budget" she told the City Council, speaking on behalf of the District. Clearly, there IS a problem when the Project Manager leaves his post just as the project is ready to get started. And now we know how much of a problem it is: $618, 348 (and counting). 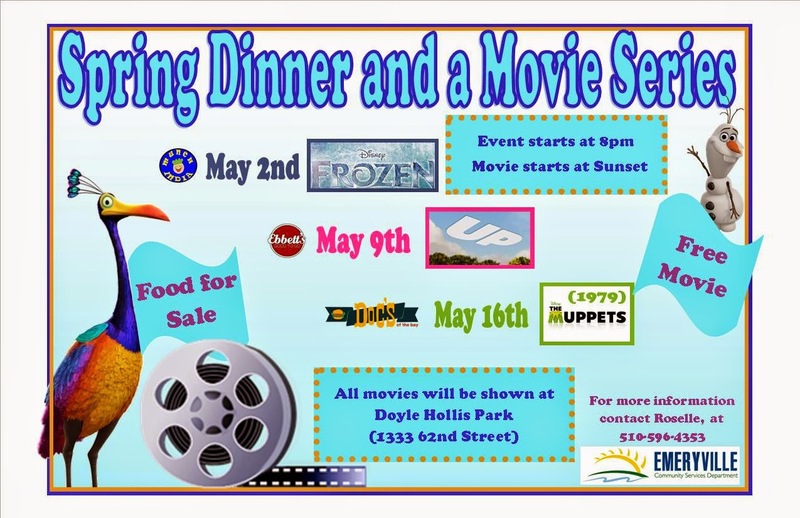 The City of Emeryville will be showing the Disney movie Frozen at Doyle Hollis Park Friday May 2nd at sunset.